This month we acknowledge the loss to the musical world of Roger Smalley and it seemed timely to feature another outstanding composer James Ledger. Once a student of Smalley’s, Ledger now carries on Smalley’s legacy as lecturer of composition at the University of Western Australia. 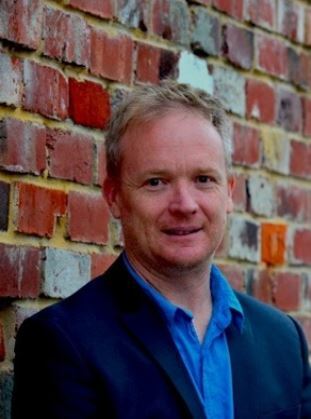 He has been resident composer with many institutions and orchestras including the Australian National Academy of Music, the Christchurch Symphony Orchestra and the WA Symphony Orchestras. Ledger is one of Australia’s most commissioned composers and on September 4th WASO will premiere Ledger’s newest work Simpler Times. I’m not sure any music gets my heart racing, but there is music that gets my mind racing. I really enjoy discovering new pieces and composers. Just recently I’ve been getting into Messiaen’s “Des Canyons aux Etoiles” (From the canyons to the stars) – a piece of his I didn’t know, but it’s remarkable. You began studying at the Universityof Western Australia on French horn. Why did you move across to composition? It took me a little while to figure out what aspect of music I wanted to pursue. I graduated with a music degree in performance but always had a hankering to write. It was only after graduating that I gave composition a go. The French horn and I are now both moving on with our lives. You are in a rare and privileged position where you are earning an income as a full time professional composer. Where did you learn the skills that enabled you to carve out a niche as a professional Australian composer? It was studying music of the 20th century in my third year at UWA that really captivated me. Charting the course of music in that century is something I find endlessly fascinating. After graduating, I moved to London and got a job at a classical record company, which was also incredibly informative. 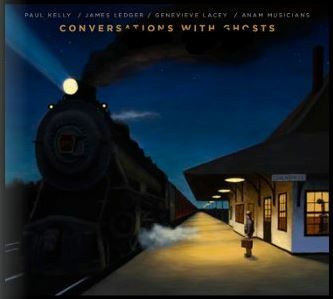 Your song cycle Conversations With Ghostsco-written with Paul Kelly won an Aria award. What was it like working with Paul Kelly? Paul is incredibly down to earth, and working with him was a lot of fun. It was surprisingly inspirational to meld our two different musical worlds together. You are currently lecturer in composition at UWA. Do you have a particular methodology or process for teaching composition? Obviously, there are aspects to composition that can’t be taught. All I try to do is offer advice on various technical aspects. On September 4th your orchestral work Simpler Times will be premiered by the WA Symphony Orchestra. How did this commission come about and what is the piece like? This work was commissioned by WASO through the generous patronage of Geoff Stearn. He commissioned a violin concerto from me in 2013, and so this is our second work. Simpler Times is a bit of an ironic title – the piece is a reflection of how we perceive time; that is, we sense that it speeds up as we get older – but of course it doesn’t. The piece probably isn’t that simple though. You also wrote War Music which was premiered in April as part of the ANZAC commemorations. There has been a lot of commissions given out over the past 18 months to recognise Australia’s involvement in war. How do you find an angle you are comfortable with in this ‘war genre’? You’re right, there have been a lot of ANZAC commissions over the past 18 months. It is an uncomfortable subject, and in way, perhaps that helped the composition. I deliberately chose the more broader aspects of war rather than focus on specific events at Gallipoli. I worked with Paul Kelly on this project too. He wrote an incredibly moving text for the choir. You have a soft spot for orchestral music – an amazing 17 orchestral works since 1996. What is the appeal of this repertoire? I didn’t realise there were that many. Yes, I do enjoy writing for orchestra, and feel incredibly lucky to have been given so many opportunities. The appeal for me is the amount of colour that is available, both in terms of instrumental sonorities, and the vast dynamic range. I love the energy that can come from of an orchestra – it can be like a juggernaut. I often marvel when listening to your compositions at the detail of the writing and complexity of ideas. What is your writing process to arrive at that point? Each piece evolves in a different way, there is no set process. I might start out by improvising on the piano, or I might have a sonority in mind. I tend to ‘see’ a score more than I ‘hear’ it. For example, with Simpler Times, I knew that the piece was going to speed up over its entire length. I imagined huge waves of energy for the final section, even though early on, I didn’t have a clue what the notes were going to be. What is it you would hope audiences experience when they hear your music? When I write music, I try to be as honest as possible. If what I write resonates with someone on any level then that’s a very satisfying thing. How would you advise young musicians wanting to pursue a career in composition? There is no set career-path to be a composer. You just have to keep your eye out for any opportunity, as well as have extremely good time management skills. I like to play music, and just recently I bought a guitar to learn. It’s a very blurred line as to where a pastime ends and work begins though. Evan Kennea interviews James Ledger in 2012 after the premiere of Two Memorials, a composition inspired by John Lennon and Anton Webern. Thank you James Ledger for making the time for Celebrity Soft Spot. For more info on our famous local composer go to www.jamesledger.com. To buy tickets to hear Simple Times on September 4th & 5th go here.